Rita Margaret Johnston became the first woman in Canada to serve as premier of a province, after she succeeded Bill Vander Zalm in British Columbia. Women in the province of British Columbia gained the right to vote. Lois Miriam Freeman Wilson, who became the first woman moderator of the United Church in Canada, was born in Winnipeg. Rev. Wilson was ordained as a United Church minister in 1965 and later became the first Canadian to serve as president of the World Council of Churches. Prime Minister Chretien appointed Rev. Wilson to the Senate of Canada. 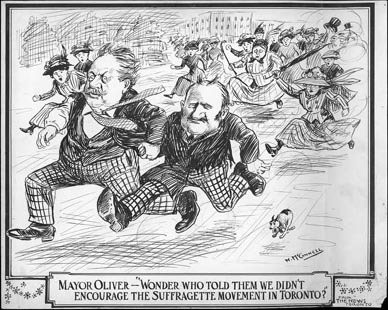 Women in the province of Ontario gained the right to vote. Newfoundland women gained the right to vote. For the first time in Canadian history, a woman was chosen as Speaker of the House of Commons. 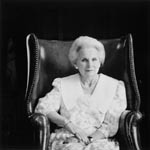 Saskatchewan-native Jeanne-Mathilde Sauvé served as Speaker until January 15, 1984 and later became the 23rd Governor General of Canada. To hear some radio clips and watch some television clips about this woman of many firsts, check out the CBC Archives feature about Jeanne Sauvé. 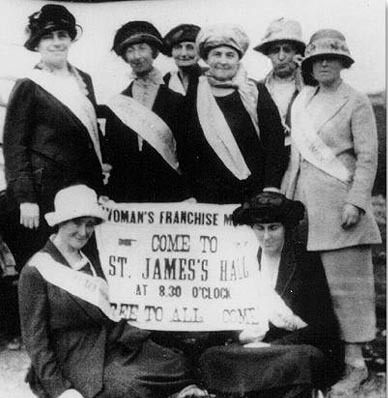 Women's suffrage was approved in the province of New Brunswick. The legislature in Alberta passed the Alberta Equal Suffrage Act, permitting women in the province to vote in provincial elections. Pioneer Canadian pilot Marion Orr took her first flying lesson, receiving her Private Pilot's License the following January. A couple of years later Marion began operating a flying club. During World War II she was thrilled to get a job ferrying military aircraft for the RAF in England. Watch a Heritage Minute about Marion and read about her in the book 100 More Canadian Heroines, page 256-259. Thanks to the efforts of women like Thérèse Casgrain, the women of Quebec finally got to vote in provincial elections--after being able to cast ballots in federal elections for more than two decades. Women in Nova Scotia gained the right to vote. 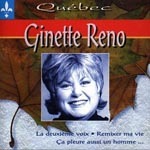 Singer Ginette Reno was born in Montreal. More about this popular international star at the official Ginette Reno website. Dr. Emily Stowe died in Toronto, after a lifetime of working to secure more rights for Canadian women. This pioneer physician was the first female Canadian to practice medicine in Canada, though it was some time until she managed to get a license. Dr. Stowe also created Canada's first suffrage group in 1876. Copyright © 2004-2014 Merna M. Forster. All rights reserved.